Yo! heads up! If my nose is STUCK in a book that doesn’t mean I am shy or introvert. We read because WE WANT TO. It’s simple. There’s nothing wrong about being an introvert, but I know very top-of-the-class extrovert bookworms and bookdragons! Really, who told you that people ? Books and us Booklovers = UNCONDITIONAL PURE LOVE. There’re book bloggers & bookworms working outside of publishing and have totally different careers.. Stop assuming. Oh gosh, every time I slip out that “guilty pleasure” phrase I want to pinch myself. It’s so hard-coded into our vocabulary! Why are we brainwashed, or forced to classify books outside literary fiction(I MEAN LIKE THE LIT-SNOB books) like: romance, thrillers, or whatever books you can think of that doesn’t go for biggie prize lists like Booker etc. as our guilty pleasures? Reading is bliss- does it matter what type of book you’re reading? If you enjoy what you read: it’s not GUILTY. It’s just pleasure. Go hug the authors, and stop calling their books guilty pleasures Bookworms! Read what you enjoy and don’t let anyone hint it’s trashy to read something you enjoy. Urgh. 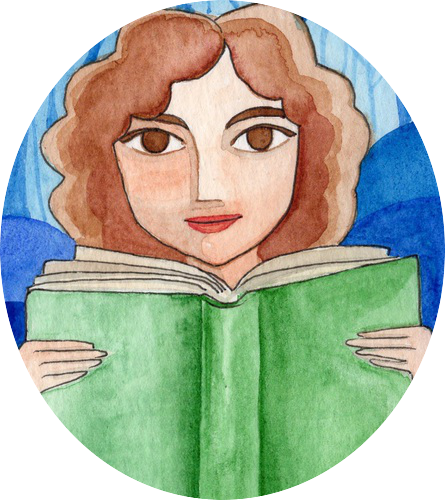 Why it’s always a nerdy looking woman with big glasses in a frumpy cardigan pictured in Bookworm graphics? Erm. I don’t wear glasses and I hate that moss coloured chunky cardigans – they depress me- and although my hair is curly I am not a Hermione Granger! God, how I hate that prejudice! When people think about a librarian or a bookworm, why do they ALWAYS assume a female. For the love of reading, stop gender-defining! It’s not always women who read or talk about books. YAY!!! Well said, books are pure pleasure! Thanks Emmie, so glad you enjoyed it!